Real talk: The very first email I ever received from Brandon contained 10+ emojis. He and his wife were expecting their first baby and I can honestly say until that day, I had never received an email so enthusiastic and so full of joy. The skeptic in me thought it must just be an email thing. Sure enough, the second I met them in person, it was like FIRE. Brandon and Katie were genuine, honest, fun-loving, and over-the-moon excited about the whole process. What made me even more excited was that they wanted to do the Whole Story Package. My FAV! This means I would get to see their family grow. Needless to say, this maternity session was one for the books. Oh and p.s.- if you want to follow this family’s story more, check out their awesome website here. 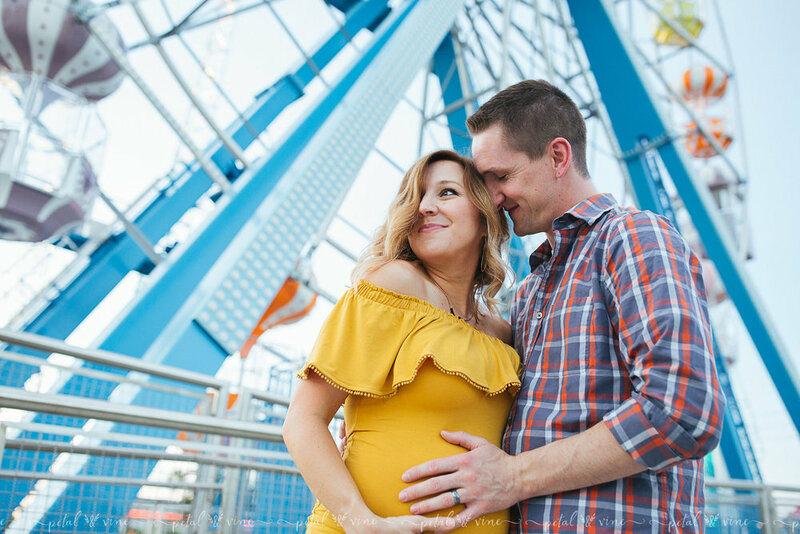 If you are interested in booking a maternity session in Central Florida in areas such as Lakeland, Lake Wales, Orlando, Tampa…and parts of South West Florida, like Bradenton and Sarasota, feel free to contact us. Feel free to follow along through our Facebook Page for updates and Subscribe to be the first to hear about specials throughout the year.